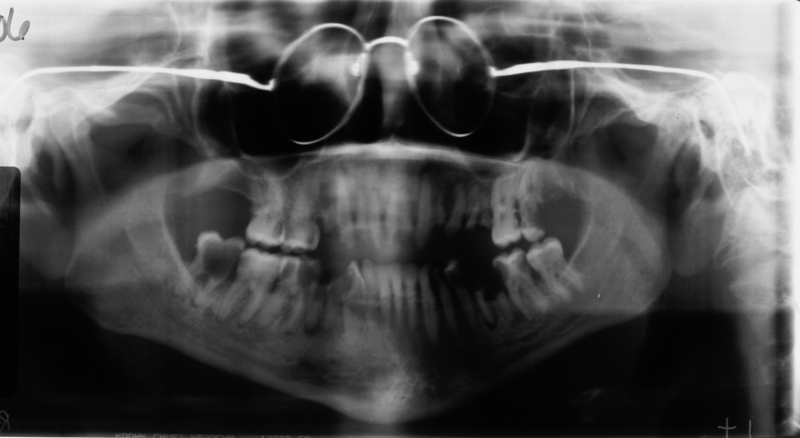 I thought I’d end this short series on radiographic technique dealing with a more humorous aspect of the radiographs I see. This has to do with proper patient preparation. 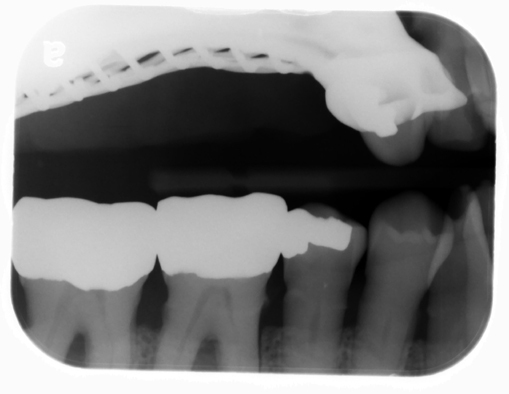 Patient preparation is the removal of metal, partials or complete dentures from the path of the x ray beam. As a quick side note, at least once a year we have a student make a pantomograph with complete dentures in the patients mouth as they could not tell they were not real teeth. 🙂 So it never hurts to ask the patient if they have anything removable in their mouth. When making extraoral radiographs, such as pantomographs and lateral cephalometric skull radiographs, it is important to have the patient remove any metal from the head. I realize not all the metal can be removed (some earrings, etc.). The goal is to have the patient remove as much as they can. When metal is not removed it can interfere with the final image by creating ghost images obscuring the teeth and/or jaws. 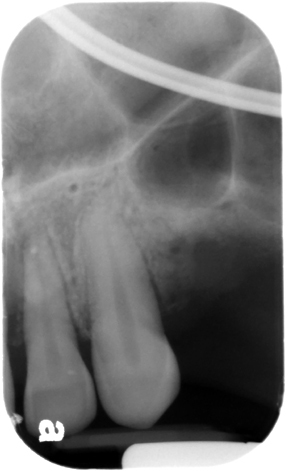 When making intraoral radiographs, such as bitewings and periapicals, typically there is less metal to remove. Glasses (especially with a lower metal rim) should be removed. Nose piercings can interfere with maxillary anterior periapicals if not removed (again sometimes it is not possible for the patient to remove these, so do the best you can). Earrings and metal in the hair are posterior and will not interfere with intraoral radiographs. Below are some fun examples of what happens when people forget to remove metal from a patient. Above: Earrings not removed. 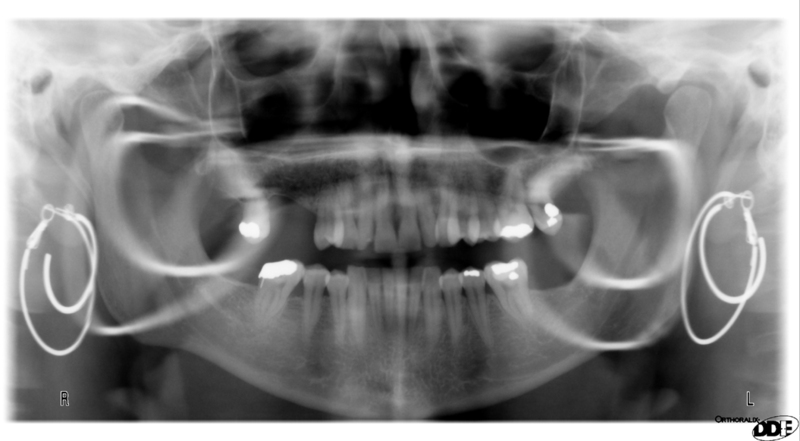 Note the large circular white areas that are slightly blurred (ghost images) seen over the posterior maxilla and mandible. Above: Partial denture not removed obscuring the maxillary bone on the bitewing. Above: Glasses not removed. Note the white circular area of the metal rim evident. I hope this introduction to radiographic technique has been informative. If you have some fun radiographic errors of patient preparation that you will allow me to use either on this site or in class, please let me know. I’d love to build up my collection.